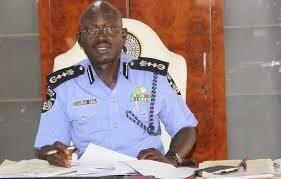 The impasse between the executive arm and the legislature took a new turn on Wednesday when the Inspector General of Police (IG), Suleiman Abba, insisted that he does not recognise Hon. Aminu Waziri Tambuwal as the Speaker of the House of Representatives. Abba told the House Committee on Police Affairs that Tambuwal’s position was still unclear as the case was before the court and it would be subjudice for him to comment on it. The IG also referred to the legislators and their aides who jumped the 12-foot gate of the parliament last Thursday, as thugs. Abba’s face-off with the lawmakers started when he simply referred to the speaker as “Alhaji Aminu Tambuwal”. Abba added that he had drafted his men to the National Assembly complex on that day based on credible information that what had happened the day before when the Rivers State Governor, Chibuike Amaechi and other members of the All Progressives Congress (APC) had stormed the Police Force headquarters and pledged to storm the federal legislature the next day with worse consequences. He said those who scaled the fence on that day were thugs who came with some of the lawmakers. Some of the persons who climbed the fence to gain entry were some principal officers of the House, including Minority Leader, Hon. Femi Gbajabiamila; Deputy Minority Leader, Hon. Abdulrahman Suleiman Kawu; and Deputy Minority Whip, Hon. Datti Ahmed. “We acted on credible information about suspected thugs who wanted to invade the assembly, and because we didn’t want what happened in Burkina Faso to repeat itself here, we had to take stringent security measures,” the IG informed the committee. He revealed that following an intelligence report of a likely invasion of the House by hoodlums and thugs, the police promptly deployed its personnel to the premises to prevent a breakdown of law and order. He added: “Some of the principal officers called me to confirm the strengthening of the security around the vicinity of the National Assembly and I told them that it was based on credible information that there was a plan to disrupt the parliament, especially with what happened in Burkina Faso. Having listened to him, the lawmakers did not conceal their anger with IG for what they saw as refusal to recognise the Speaker’s status by the police chief. Chairman of the Committee, Hon. Usman Kumo called the IG to order, insisting that the Speaker and his office must be accorded respect and full compliment. Having failed to obtain compliance from the IG, the chairman of the committee told his colleagues that he would report back to the House on what had transpired and adjourned the hearing until further notice.